It's crucial to know the correct aspirin dosage for dogs. According to VetInfo.com, while aspirin should never be given to puppies because their systems can't break it down, you can give your adult dog aspirin to relieve pain and/or inflammation, and you should always give it with food. However, before you give your dog aspirin, you should also be aware of the possible side-effects aspirin can have on your pet. 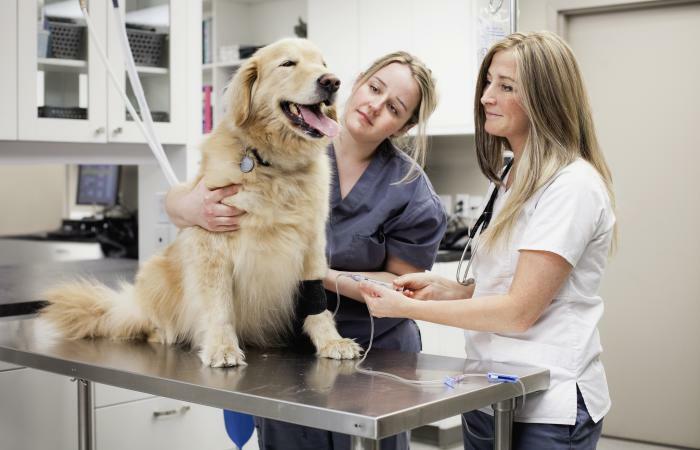 The following dosage guidelines are provided for informational purposes only and are not meant to replace professional veterinary consultation and care. Consult your vet directly to determine if administering aspirin is the right treatment for your pet and confirm the correct dosage based on your dog's exact weight. As a general guideline, the following table may be utilized. The recommended dosage is 5 mg to 10 mg of aspirin per pound of a dog's weight, as recommended by your veterinarian, and it can be given once every 12 hours. For comparison's sake, 81 mg of aspirin for dogs is equivalent to one baby aspirin, and an adult aspirin starts at 320 mg. Let your vet know how many milligrams are in the type of aspirin tablet you intend to use, as found on the container label, and your vet will recommend how to cut the tablet down to reach the proper dosage. Your veterinarian may prescribe aspirin designed for humans to your dog such as baby aspirin. However aspirin designed specifically for dogs is the safest choice. Most aspirin varieties made for dogs are buffered in order to protect the dog's stomach. Enteric-coated aspirin, which is different from buffered, does not work well in dogs as they cannot properly digest the coating in time for the aspirin to have a useful effect. GNC Pets Mega Dog Aspirin is dog aspirin available at PetSmart for about $10 to $20 a bottle. Nutri-Vet Aspirin for Large Dogs is dog aspirin at Wal-Mart that's designed for dogs 50 pounds or larger. It sells for about $12. Well & Good Buffered Dog Aspirin for Small Dogs is dog aspirin sold at Petco stores for about $9. It also comes in a large dog formula. NaturVet Buffered Aspirin Medium Large Breed is dog aspirin available from Amazon. It sells for about $9. While aspirin can be effective and is readily available, there are possible adverse side effects, as well as reasons aspirin use is not advisable in some circumstances. Stomach upset - Aspirin can upset a dog's stomach, which can interfere with the ultimate goal of relieving your dog's pain if he throws up the medication. Buffered aspirin is usually easier on a dog's stomach than non-buffered aspirin, especially if your vet advises you to give repeated doses. Stomach ulcers - Long-term usage could lead to stomach ulcers. Watch for dark, tar-like blood in your dog's stools since this is usually a strong indication his stomach has been bleeding. Blood thinning - Aspirin does thin the blood, which can lead to excessive bleeding if your dog is injured or undergoes surgery while on the medication. It should never be administered to a dog with Von Willebrand's Disease or pregnant or nursing dogs. Kidney damage - Aspirin should never be given to a dog that already has kidney disease. In otherwise healthy dogs, watch for signs such as increased or decreased thirst, and well as changes in appetite and onset of vomiting, since these signs are often associated with kidney problems. Dogs can also die quite suddenly if they receive a toxic dose of aspirin. If your vet advises you to use this medication for your dog, the next step is administering the dose your vet has advised. There are several ways to do this. Place the pill on the back of your dog's tongue and stroke his throat to encourage him to swallow. Place the pill inside a special, digestible "pill pocket" used to give dogs medication. Insert the pill inside a tempting food like a piece of hot dog, or wrap it in a piece of bread and feed it to your dog. While some over-the-counter varieties of aspirin may be approved for use on your dog by your veterinarian, it's important to remember not all OTC pain relievers are safe. For example, giving ibuprofen to dogs can be fatal. Other common OTC pain relievers that are highly toxic to dogs are acetaminophen and naproxen. Always discuss with your veterinarian any OTC medications prior to using them on your dog. If your dog has pain and swelling there are OTC medications that are safe such as any of the aspirins made specifically for dogs as well as prescription medications from your veterinarian such as Rimadyl and Metacam. 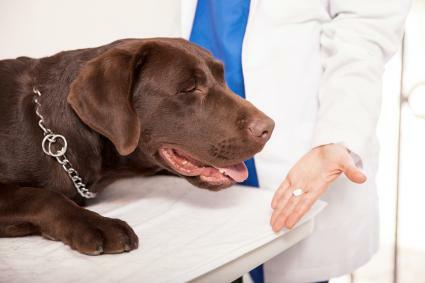 To avoid harmful drug interactions, you should not give aspirin to a dog that is on any other medications unless you're giving aspirin under the direct supervision of a veterinarian. Ask your vet about alternative pain medications so you can make an informed decision about the best treatment for your pet.